Feminism is not for man-hating lesbians or for miserable, single women who cannot find a man. These are the typical stereotypes that are linked to what makes someone a true feminist. Feminism is simply for people who believe in gender equality on social, economic and political levels. The university’s Gender and Women’s Studies Department has come a long way and not just by offering courses, but also advocating for change. CSUN alumni and professor Shira Brown is the adviser for the student group, The F- Word. The student activist group started out of the GWS Department and organizes, events, activities, campaigns and awareness related to gender and women. “I do notice a change [on campus], there was a drive and focus on women and sexual violence. Now it is less about gender identity and more intersectionality…Opening the discussion up on more than gender… It is also a social group where they open dialogue,” Brown said in regards to the transformation and main focus of gender equality activism on campus with the help of The F- Word. The first wave of feminism began in the late 19th century along with the women’s suffrage movement. After being supporters of the anti-slavery movement and fighting for a black man’s right to vote and own land, women started fighting for their own rights. The Seneca Falls Conference and Declaration of Sentiments discussed women not having equal rights to men. In 1920, the passing of the 19th Amendment gave women the right to vote. In the 1960s, the second wave of feminism focused on reproductive rights, employment, the wage gap, family and the overall fight for gender equality with the help of leaders like Gloria Steinem and Angela Davis. The third wave of feminism took place during the 90s when women redefined what feminism is. It continued the focus of expressing the same issues that second wave feminist had. However, third wavers dressed more femininely rather than associating their cleavage baring outfits as a form of male oppression. These women chose to embrace and glamorize their sexuality. It may seem as the third wave of feminism is continuing, but the fourth wave of feminism is also present. The fourth wave is the next level to what the past waves believed. The only difference is that the fourth wave consists of women, men, the LGBTQ community and more. It seems that the fourth wave of feminists is the most diverse wave that feminism has ever seen. 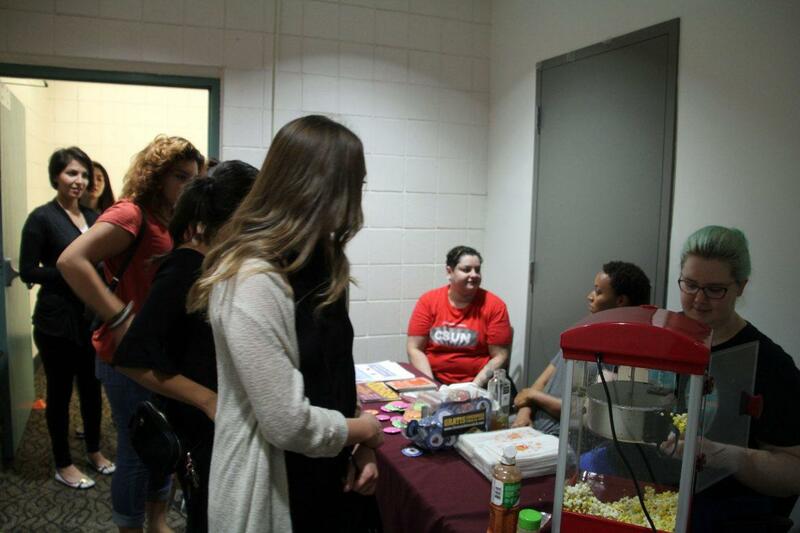 CSUN has student groups and staff devoted to promoting change in regards to gender equality. However, CSUN Alumni Jessica Hoeschen did not see much activism while a student prior to graduating in 1998. “I never saw or noticed any feminist and gender equality activism on campus. It was an individual belief and vocalized just through conversations between friends or discussions in class lectures,” Hoeschen said. She also said she feels it is more of a trend now to march, make statements or protest, when before it was a conversation where views where respected whether both parties agreed or not. “If you had differences, people could actually handle it respectfully most of the time back then,” Hoeschen said. The department brings intersectional and global approaches to the courses and the faculty are well connected with different communities, according to Mendoza. Mendoza said students learn that gender issues are interconnected within race, class, or sexual oppression and that gender is not a remote concept from any of these components. The GWS department is now threatened by Executive Order 1100 of the Chancellor’s Office to be “weakened” or even removed completely. “We need students to defend a department that has given so much to this campus,” Mendoza said.